Recommendation letters are a crucial piece of your graduate school application. An effective letter should provide those making admissions decisions with an assessment of your potential as a graduate student and/or researcher. It is important that a recommendation letter be written by someone who knows you well academically. Faculty members most commonly write letters of recommendation; however, other professionals who know you well and have supervised your work in academia or research may also be appropriate choices. Ask to meet with your recommender(s) to discuss your desire to apply to graduate school. During the meeting you will have the opportunity to discuss your academic interests further, and request the letter of recommendation in person. Ask them if they are willing to write you a strong letter. Communicate with your recommenders about your goals for graduate study, your career aspirations, and how you chose your schools and programs. Give your recommenders with a copy of your transcript and CV or resume. This helps them gain a better understanding of your background and interests. Give your recommenders at least several weeks’ notice. You do not want your recommenders to be rushed; instead, you want to give them enough time to write a comprehensive and accurate letter. 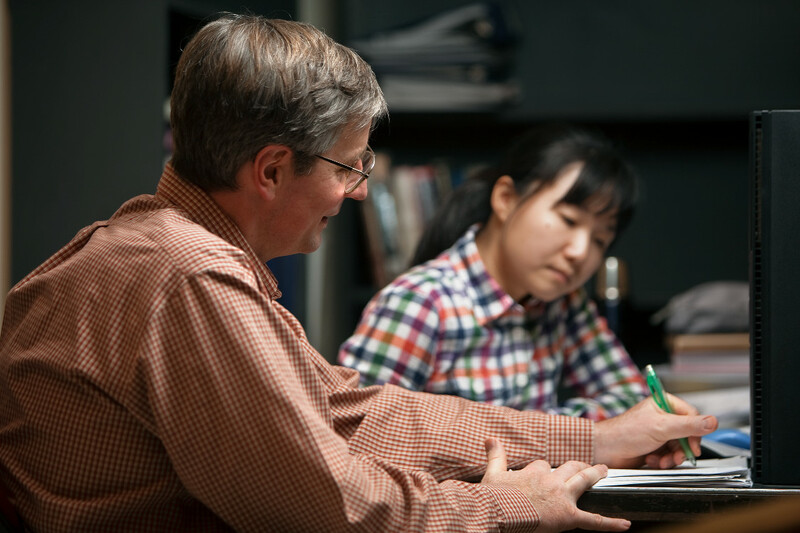 The Cornell Graduate School application utilizes an electronic recommendation letter submission system in which applicants provide the names and contact information for their recommenders as part of the online application. Recommenders then receive an email instructing them how to submit their letter. Learn more about Cornell’s letter of recommendation requirements. Check with your recommenders to make sure they submit the letter, but do not hound them. Anything other than a positive letter has the potential to harm your application. If a recommender denies your request for a letter, thank them for their consideration and find another recommender. Make time to let your recommenders know the final outcome of your graduate school; it is considerate and they will want to know.